For the last couple of years, Facebook Messenger had the ability to send and receive money. However, the functionality was limited to just two people – the sender and the receiver. 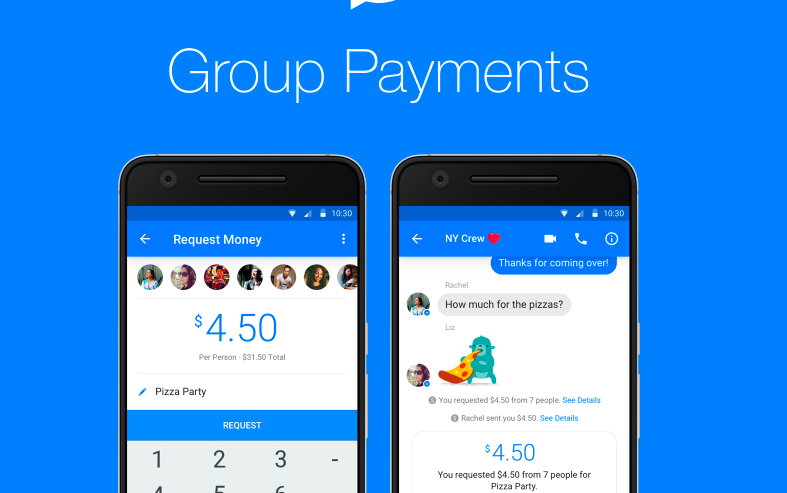 Now, Facebook has broadened the feature by introducing group payments on the Messenger for Android and desktop. The new feature is aimed at groups of friends who want to want to be able to divide restaurant bills or send money to friends. The process of sending money is easy and it all happen over a group conversation on Facebook Messenger. To send money, you just have to tap/click on the “plus” sign located in the bottom left corner in the group chat, in it you’ll find payments icon ($), just select it and choose who to send or request money from. As we already mentioned, the feature is free to use and supports Visa or Mastercard debit cards for now. Group payments will also let you request money from any user in the group conversation. Or you can also request the entire group to pay you. When requesting for group payment, you will just have to enter the amount and the messenger will automatically divide it evenly among the group members. Facebook has made it simple to track the payments as a message will pop up in the group showing who has paid. Also, user can also view the “Request Details” on the full screen to throughly check the process and track payments. Facebook also claims that users’ debit card information is safe and they don’t need to remember a password for it. For now, Facebook is rolling out this new feature for Android and Desktop users in the US. We can expect it to roll out the feature for the iOS users soon. We think that this new feature on the Facebook Messenger can give some serious competition to dedicated bill splitting apps like Splitwise.